This little ditty was perpetrated by Yale against Harvard during the their heated annual football match and wine tasting event in 2004. Yale's students socially engineered their rivals to hold up individual placards that spelled out their own suckery. 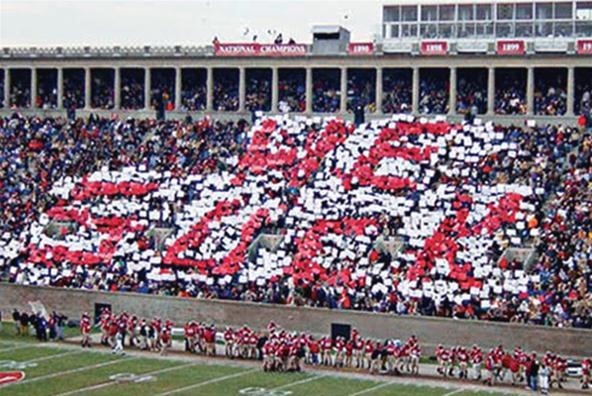 Harvard still won, but it was pretty original. OR WAS IT?!! 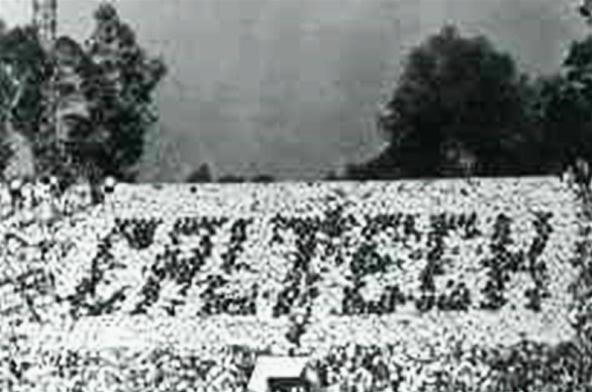 The same exact prank had been carried out by Caltech against... guess who... Harvard at the 1961 Rose Bowl, more than 40 years before Yale's stunt. Cali is so progressive and ahead of the times, man. MIT are without a doubt the master trolls of the collegiate world. Their trolls (which they call 'hacks' because they don't want to sound nerdy) are some of the most imaginative ever conceived, and will round out this post more comfortably than a baby seal in a microwaved Ugg boot. 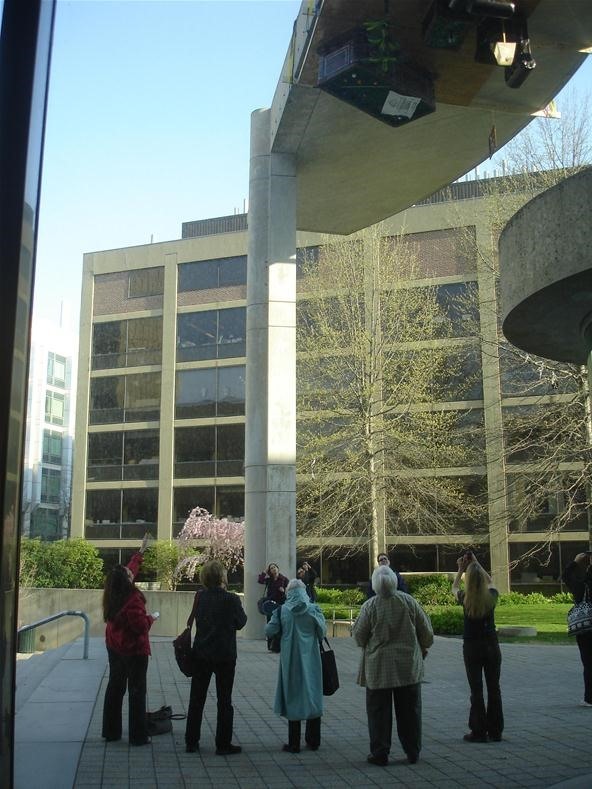 In this first example, student of MIT's media lab glued an entire office set to the ceiling of their building. Next in the parade of MIT tomfoolery is another attack on Harvard. Noticing a trend here? 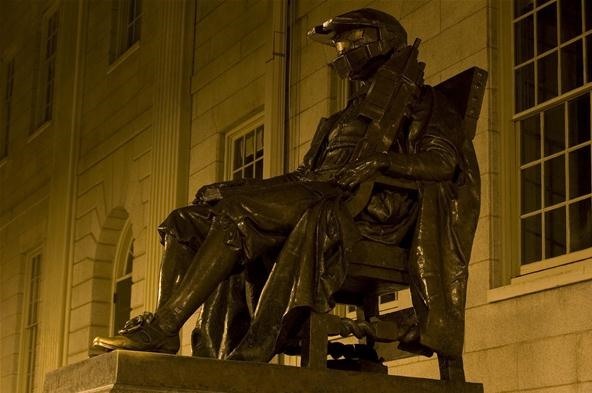 This time, they adorned the statue of the University's famous benefactor John Harvard in a Halo helmet and rifle in celebration of the impending release of Halo 3. Harvard Yard never looked so safe from alien invasion. I promised we'd round it out with MIT, and so we shall with this, one of the most baffling hacks ever performed by MIT. Some men wonder how the Egyptians built the pyramids, or why hot pockets never have a uniform temperature. 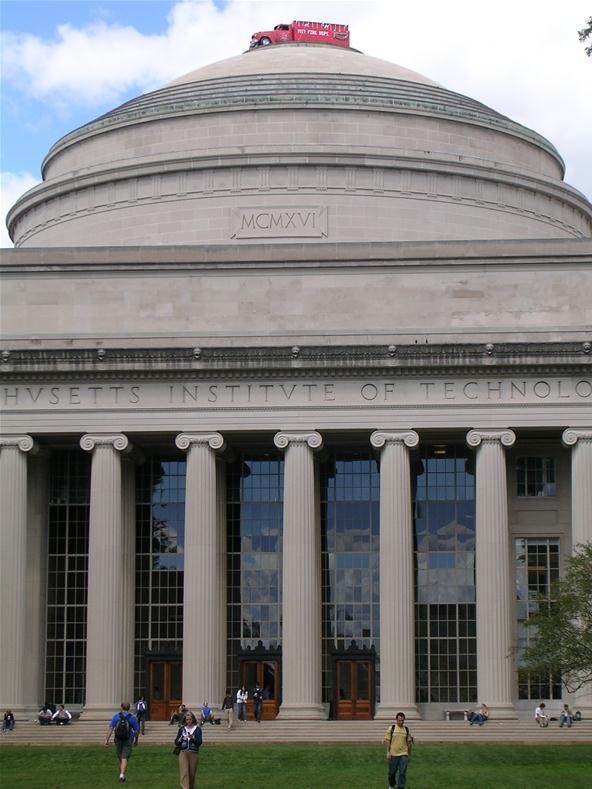 Not me—I wonder how on God's green earth MIT got that full-sized campus fire truck on the top of their rotunda.